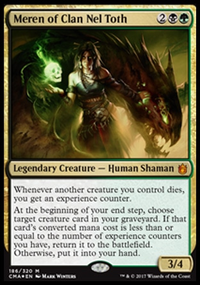 thewyzman - much easier to tutor for in this deck (Survival, Worldly), recurrable with Meren, adds 1 devotion to black, and most important of all 2 CMC. Also doesn't get shut off by Null Rod. Dross Hopper is also in this list which is even worse than Bloodthrone, but still better than Ashnod's. Dusk Legion Zealot , Baleful Strix , Alchemist's Apprentice , Seekers' Squire , Preordain , Sage of Epityr , Rix Maadi Reveler : The first three are a slam dunk while the rest are a bit of a harder sell, but all of these cards get cast earlier than Mulldrifter/Disciple of Bolas so they help you hit land drops and find your missing pieces. And something like Apprentice can curve right into a counter enabler and draw 4 cards on turn 4 before you'd even cast the more expensive draw spells. Preordain and some amount of the other cantrips are always worth consideration too, since you're trying to put together specific things to bring a powerful Marchesa engine online. Altar of Dementia , Spawning Pit , Bloodthrone Vampire , Dross Hopper : A critical mass of sac outlets is important and though the creatures listed aren't exciting they're a lot better for rebuilding if your first boardstate gets broken up. Deploy on turn 2 into value creature on turn 3 to recur on turn 4, or deploy alongside 3-drop on turn 5 to try to rebuild. I dislike using my whole turn to play Grimgrin or Falkenrath which I consider to be pretty mediocre standalones in EDH (Grimgrin is probably fine actually though a little finnicky) and Yahenni not being able to sac itself is a problem for me. Sower of Temptation , Grenzo, Dungeon Warden , Hostage Taker , The Eldest Reborn , Demon of Dark Schemes : My topend may look odd to you but each of these cards is strong interaction on its own, and becomes an army-builder alongside Marchesa. 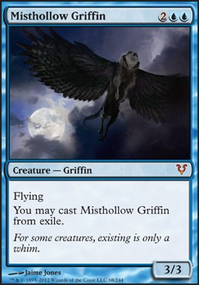 Stealing creatures is great for ramping and killing enchantments, or winning with Primeval Titan. 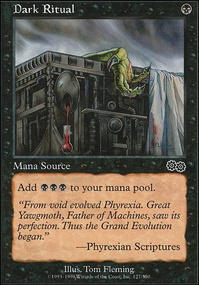 Bribery and Phantasmal Image are more cards in this vein, as well as the Puppeteer Clique and Gonti you're already playing. I prefer these to Flayer, Herald of Secret Streams, etc since they help you come from behind when Marchesa isn't out, and having "finishers" that rely on your engine being all in place isn't all that effectively different from just running some combo (Metallic Mimic / Murderous Redcap is the most efficient one for Marchesa imo if you wanted to go the route). Of course, Flayer does act as removal, and is also very fun, but I hope you'll consider cutting Herald, Merchant, and Kokusho. Mikaeus is actually nice as a "backup commander" with great synergy with Marchesa but he's not in my build because I run too many Humans. Luckily we have Grenzo who is an absolutely insane engine card. Awaken the Erstwhile , Mindslicer : Marchesa can dominate the board but is weak to combo, hate enchantments, the whole table targeting all your stuff with removal, and brick hands. These cards take care of the first three. 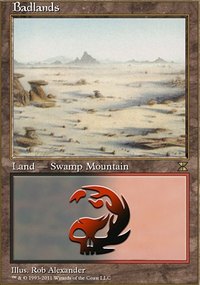 Landing them early with your value engines already online is like a more reliable sort of "land destruction win" since in either case they can't cast their spells. Trinket Mage , Spellseeker , Phyrexian Metamorph , Mindclaw Shaman , Entomber Exarch , Trophy Mage , Ixidron , Sparring Construct : Miscellaneous other value ETBs. Trinket Mage is the best one, I highly suggest you include him. Construct will surprise you with how strong it is. The baseline is on-board protection for Marchesa the turn you cast her, but the upside is acting like a limited Graft creature by giving each new creature you play a counter. I think that's just about it for suggestions, maybe consider Spell Pierce , Stubborn Denial , and Fire Covenant , but overall, great primer, very well-written, and I think you'll set people in the right direction when it comes to building Marchesa. LeeRoy_Jenkiins, your mention of Souldrinker reminded me that I do have Unspeakable Symbol in the deck, which has been an absolute all-star. I like Souldrinker, but I don't like that he only puts the counter on himself. I'll consider finding a spot in the deck for him if I make some cuts. I like Spawning Pit, but I'm on the fence. I'd never use the creature generation ability, meaning it'd only be a 2-mana sac outlet. While that in and of itself might not be too bad, I'm not sure if I want a card that I'd only use half of in the deck, especially when there are so many 2-mana or less sac outlets out there (Goblin Bombardment, Viscera Seer, Carrion Feeder, Skullclamp, Greater Gargadon, Bloodthrone Vampire, Dark Privilege, Dross Hopper, etc). I think you've got a good point about boardwipes too. I should find some more to put in the deck. Been thinking about Damnation and, as you'd suggested previously, Toxic Deluge. Thanks for the input Fayrawks, But I think Dross Hopper is better beacause it provides it's own death trigger. I might test Lightning Coils, but i don't think it will make the cut. I try to win that turn, so the 5+ elementals aren't ideal. Thoughts on Spawning Pit to replace Dross Hopper? And maybe replacing a Return to the Ranks with a Lightning Coils? I think you might have one too many boardwipes in there especially with all the tutors you have. However it could just be integral to your gameplan to only have lili on the field and it could depend on your meta. If you find it's too many I would take out either Extinguish All Hope or Crux of Fate. I must not be getting a major part of the deck because I can't imagine why some of these sacrifice outlets to flip lili would be worth a card. Cards like Shifting Wall and Death Cultist Cabal Trainee and Bile Urchin are dead drops on an already flipped Lili as far as I can tell. 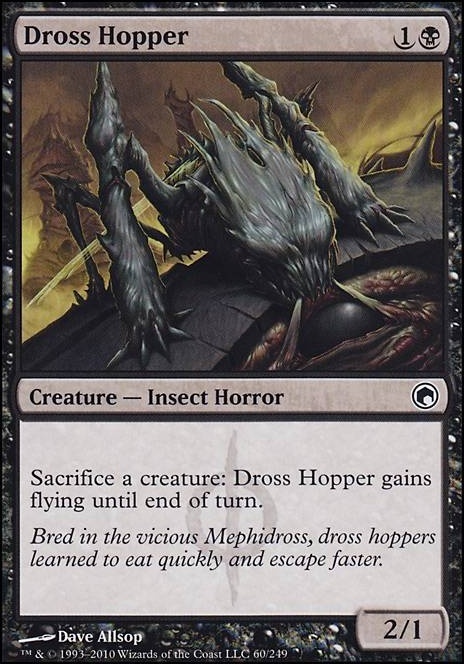 Phyrexian Marauder and Endless One and Dross Hopper also seems to just exist to die. Fume Spitter seems like it might have some utility against some good cards like Lotus Cobra but it still feels weak for edh standards. Same with Heap Doll. I'm not sure what your devotion usually is in this deck, but I can't imagine it would be enough for an effective Gray Merchant of Asphodel. Some cards I thought of adding: Dark Prophecy. 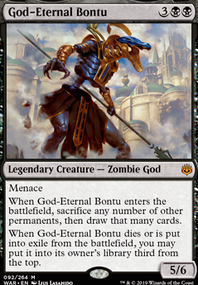 This is obviously good with all your sacrifice creatures.Endrek Sahr, Master Breeder. This guy gives you presence and fodder for your sacrifice engines.Grim Haruspex. You seem to have a lot of nontokens dying in here. 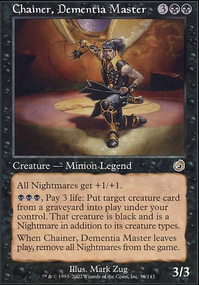 This fits with that and gives you some advantage for otherwise sub-bar sacrifice abilities.Harvester of SoulsOgre SlumlordLifeline - you're liable to have your dead creatures you sacrificed to liliana return and since none of them seem to be sorcery speed you could do them every turn.Pawn of UlamogBig Game Hunter - Great with liliana's madness effect and otherwise still good.Vampire Hexmage - Better by far than Dross Hopper. Can kill planeswalkers and hydras while flipping lili at the same time. And you can always tutor for Dark Depths for an alternative win-condition. 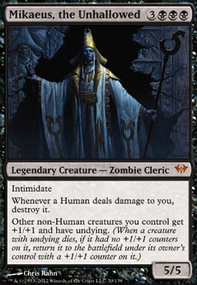 Trtl, after considering that someone could just Clone/Reanimate my Vampire Hexmage to Hero's Downfall my commander, it could be more of a liability than an asset. To a lesser extent, Crypt Creeper could prove to be used similarly against my strategy, so I don't think I need a second Heap Doll. Getting the winning loop of Liliana, Heretical Healer Flip's emblem plus Gray Merchant of Asphodel/Kokusho, the Evening Star plus a sac outlet has been happening much too infrequently for my tastes. Would replacing Vampire Hexmage and Crypt Creeper with Bloodthrone Vampire and Dross Hopper be a poor direction?